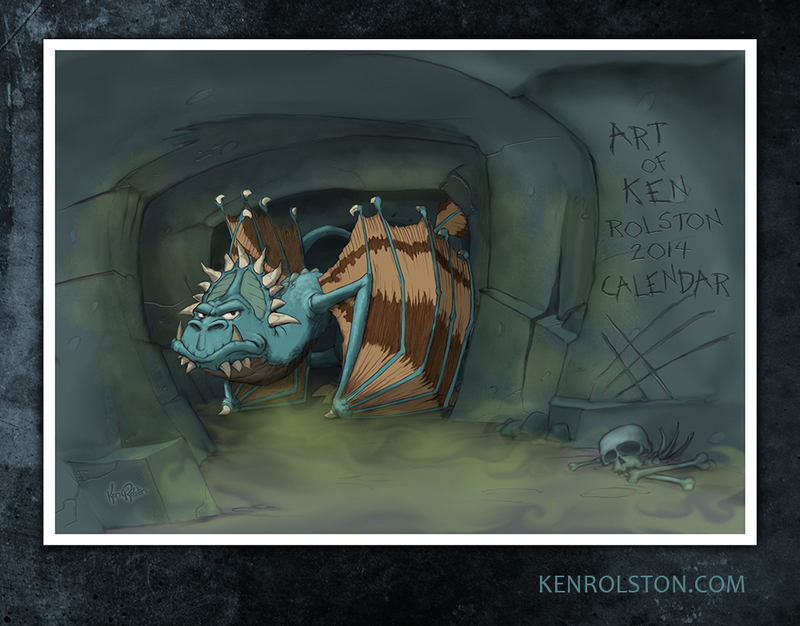 At the end of last year I printed a small run of Dragon Calendars to give out as Christmas presents. There were a few copies left after Christmas, so I did a test sale through my personal Facebook page to see if there was enough interest to warrant a bigger run for 2015. The remaining calendars disappeared quickly, and I was getting quite a few requests for more. One of the requests I couldn’t ignore. A friend of mine asked for a calendar to give to his daughter’s friend Hunter. 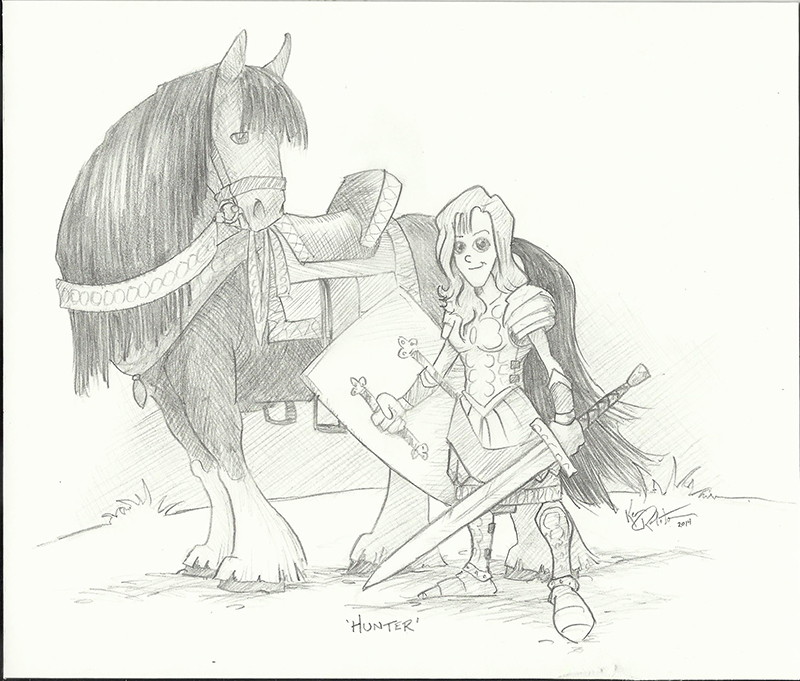 Hunter, I was told, is a young artist that loves to draw, loves horses, and would love my dragons. I was also told that Hunter is fighting cancer. So I figured she deserved a little sketch to go with the calendar. Something to inspire the warrior in her. I had my friend send me a couple photos of Hunter so I had something to base the sketch on, and started drawing. The calendar and sketch have been passed on to Hunter’s dad, he thought they were awesome gifts. I’m waiting and hoping to hear about Hunter’s reaction, and hoping that one day Hunter will show me some of her art.